While this research may be informative for employers, in the learning and development (L&D) field the results should not be that surprising. Traditional L&D approaches such as group instruction and static e-learning cannot possibly meet multiple challenges—e.g., delivering engaging content, detecting and filling knowledge gaps, teaching new knowledge, reinforcing skill-building, and increasing both competence and confidence. The fact is “one-size-fits-none” approaches, whether online or classroom-based, will always fall short. The main reason is that without personalization such training cannot account for what people already know nor can it provide additional support when they struggle to fill significant gaps. This renders traditional training ineffective and inefficient—it wastes resources. The even bigger danger is that employees will assume they possess certain skills or knowledge, when in fact they do not. 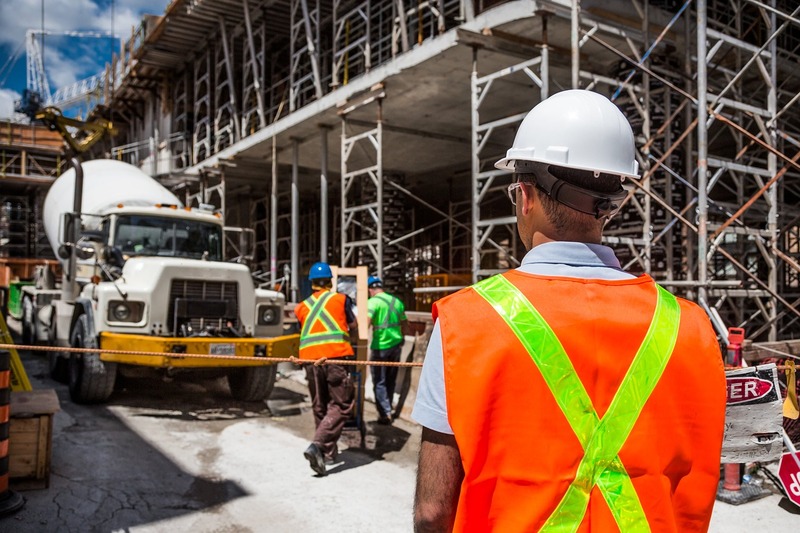 They are “unconsciously incompetent,” which can result in workplace issues from errors and disgruntled customers to more serious safety or compliance infractions. The solution is adaptive learning. By bringing together the best of computer science and cognitive research, adaptive learning delivers a personalized, computer-based approach that adjusts to the needs of each learner in online and blended learning scenarios. Such personalization not only improves engagement, it is also key to gaining efficiency when training employees who typically have very little time to devote to learning while they try to carry out their daily business activities. Yet improving employees’ competencies in those daily business activities is the very reason why effective training is so important. Consider Shinola, a luxury lifestyle brand, and the challenge it faced while opening new stores. Shinola needed to ensure its retail employees were knowledgeable about all products and could deliver a consistent customer experience, plus be informed about new product launches. Shinola turned to adaptive learning to help associates improve the customer experience and enhance brand loyalty. Moreover, adaptive learning allowed the company to go beyond merely recording course completion and to focus instead on improving employee proficiency to drive revenue—a far more meaningful outcome. Other employers are using adaptive learning to address the needs of specific employee populations. An example is the National Safety Council Supervisors’ Safety Development Program for supervisors and managers that helps employers develop a safety culture. Participants in the program come from a wide variety of industries, backgrounds, and experience levels. The adaptive approach helps each learner focus on specific concepts and objectives that are relevant to their particular situation without forcing them to cover material they already know. This is an illustration of how the adaptive learning platform replicates the experience of working one-on-one with a tutor, which as research has shown dramatically increases learning effectiveness compared to the traditional classroom. Obviously, it is not practical to tutor everyone in the workplace. However, a compelling argument can be made for increasing personalized learning for every employee using advanced adaptive learning platforms. While the suitability of using adaptive learning to build technical skills or enhance product knowledge seems intuitive, questions have been raised about the feasibility of applying this approach to building soft skills. The fact is adaptive learning is far superior to traditional online approaches for developing and reinforcing soft skills (including the “4Cs,” below). Effectiveness can be further enhanced by pairing adaptive learning with practice in a virtual environment or by using a blended approach that combines online and in-classroom learning. On the adaptive learning side, platforms that take a “teaching-by-asking” approach enable individuals to spend time only on those areas in which they need development, while skipping over what they have already mastered. This has been shown to reduce the time it takes to reach proficiency; among early adopters, time savings of as much as 50% are common, compared to traditional e-learning or instructor-led training. Adaptive learning also allows learners to self-assess continuously. This is accomplished by asking learners to rate how well they know a piece of content or how confident they are in their answer before the correct answer is revealed or a task is performed. In this way, learners not only improve their knowledge, they also gain confidence in that knowledge. Teachers bring to blended learning the uniquely human ability to engage with and motivate students, while providing them with support and opportunities to practice skills. Brought together, the blended learning environment is a best-of-both-worlds approach. Knowledge is composed of the facts and information acquired through experience or education. In professional development, knowledge gaps must be identified and filled to improve performance, increase productivity, and avoid safety or liability issues. Reskilling the workforce for the digital age with greater use of artificial intelligence (AI) and other advanced technologies has become a business priority. But there are other skills as well that enhance capabilities—among them, the “4Cs” of creativity, critical thinking, communication, and collaboration. In addition, there are psychomotor skills, both “gross” (involving large muscle groups, such as in the legs and arms) and “fine” (smaller muscle groups, such as those found in the fingers), to be mastered across multiple occupations. Examples include carpenters and mechanics who use tools with precision and nurses, who must know how to correctly insert a catheter and perform other procedures. Character includes six areas: courage, curiosity, mindfulness, resilience (i.e., “grit”), ethics, and leadership. Amid accelerating change, learners need to draw on all aspects of character to help them develop, learn, and grow. Meta-learning refers to greater self-awareness in learning. Two meta-learning domains are meta-cognition (“thinking about thinking) and developing a growth mindset, which encourages further development, among individuals and within organizations. Our platform, Area9 Rhapsode™, has been designed around the Four Dimensions and enables simultaneous development on multiple dimensions. The adaptive engine does the “heavy lifting”—that is, elements in the user interface and in the flow of learning help the learner become more self-aware, develop a growth mindset, and build capabilities such as grit without the content developer needing to do anything. Together, these elements held build lifelong learners while reducing development costs—a true win-win. Just because employees have learned a skill doesn’t automatically guarantee they’ll put it practice. This brings up a second issue: transferring new skills onto the job. What’s needed is a way to provide direct feedback about learners’ performance to reinforce what’s been learned and to track whether new knowledge and skills are being put into practice. One tool is Area9’s Rhapsode Skills App™, which allows the educator, facilitator, or manager to give detailed feedback, including video recordings, scoring, links to more learning resources, and so forth. The performance data collected by the app also refine and drive the adaptive model, automatically tailoring the adaptive learning experience based on real-world, on-the-job performance. With more feedback and coaching in real-time, training comes full circle. Employees build competence and confidence and, therefore, are more likely to put new knowledge and skills into practice. In summary, soft skills have always been important, but now are becoming increasingly so in the technology-enabled workforce. As employers seek to uncover and fill soft skills gaps among employees, adaptive learning is a proven solution, particularly when reinforced with classroom learning and in-person coaching.